Dog-friendly offices may be on the rise, but rare is the workspace that houses enough pets to fill out a new sales division. Then again, nothing about Bark & Co. is typical. 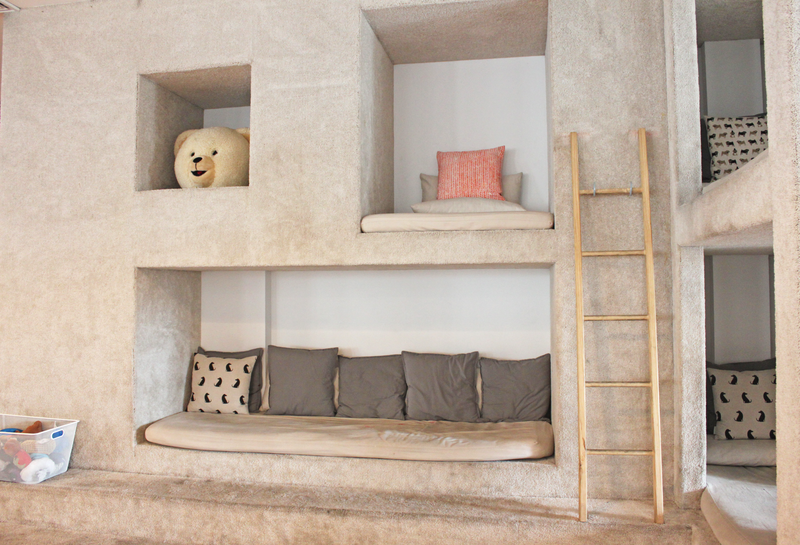 The subscription dog accessory startup just came up with a fresh round of funding, has grown rapidly to a size of 150 employees in New York City, and now takes up 5,000 square feet over two floors in a building in Chinatown. You might imagine the offices of Bark & Co. overrun with squeak toys, yelping lap dogs and the occasional puddle coming from a source other than the ice machine. Well you’d be surprised. Stepping onto the 6th floor of Bark & Co.’s HQ, where the Barkbox and Barkpost teams work, the dogs seem to know they’re in a place of business and adapt accordingly. They nestle calmly at the feet of an owner or a neighbor. They wag their tales under tables or take advantage of an empty spot on a couch. The most noise you’re likely to encounter on the floor is the steady din of co-workers huddling in an impromptu meeting and the indie tunes coming through the radio. 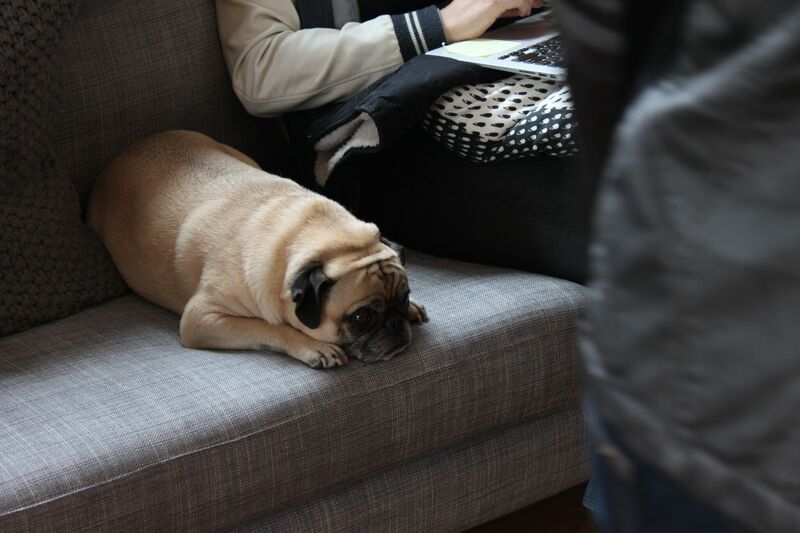 Even with a relatively quiet pet contingent, you wouldn’t be wrong to think their mere presence could prove distracting, so the offices of Bark & Co. have instilled a few rules to keep things in working order, like keeping dogs on leashes until at least 4:30 pm. It’s by no means a free-for-all. 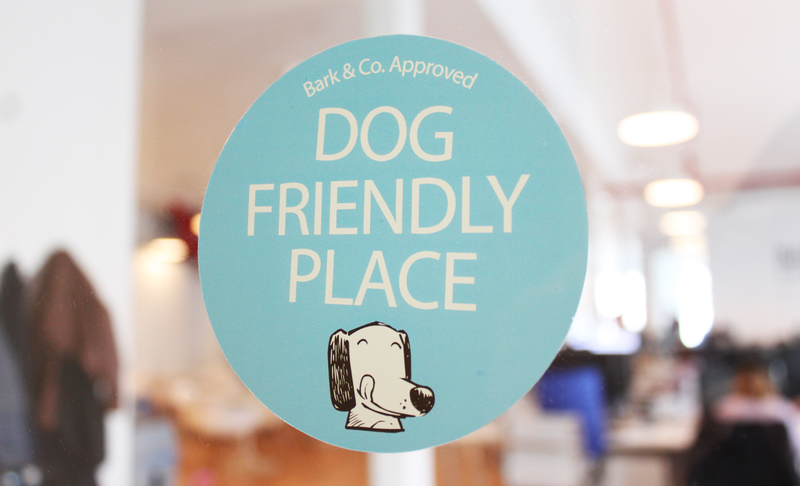 Are such pet-friendly policies simply a natural extension of Bark & Co.’s ethos and a fairly easy way to keep employees, many of whom are of course avid dog lovers, happy? Yes, but it’s more even more considerate than that. For those who don’t wish to leave their dogs unattended during a long work day and have difficulty arranging dog-walking appointments, daytime pet care at work might be the most convenient option. Plus, it can’t hurt to have a sample of the user base handy at all times. 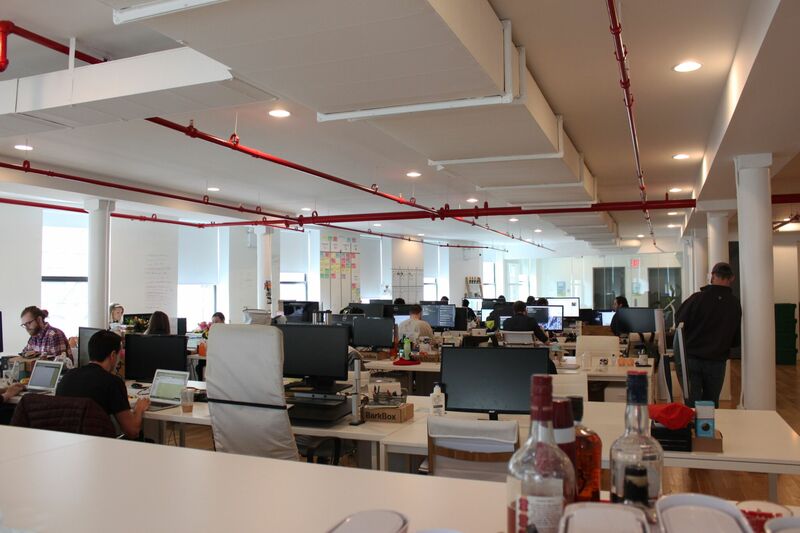 As for the human beings milling about the floors of Bark & Co., they thrive on a number of the amenties and tools typical to buzzworthy startups; a ping pong table just off the kitchen, beer on tap and copius use of Slack. Slack, as Barkshop Marketing Manager Lauren Bolinger points out, has been a “game-changer” for the company. Everything from project statuses to where to go for lunch (via the #noms channel) is facilitated through the collaborative messaging app. It came in especially handy when the company experimented with randomized seating to try to circumvent the clique mentality that can readily plague teams seated together. But ultimatley, with meeting spaces at a premium and rapidly growing teams to manage, the company went back to a team seating arrangement. As the company grows, it’s trying to ensure continuity between its brands and divisions while maintaining a healthy family atmosphere — furry friends included.